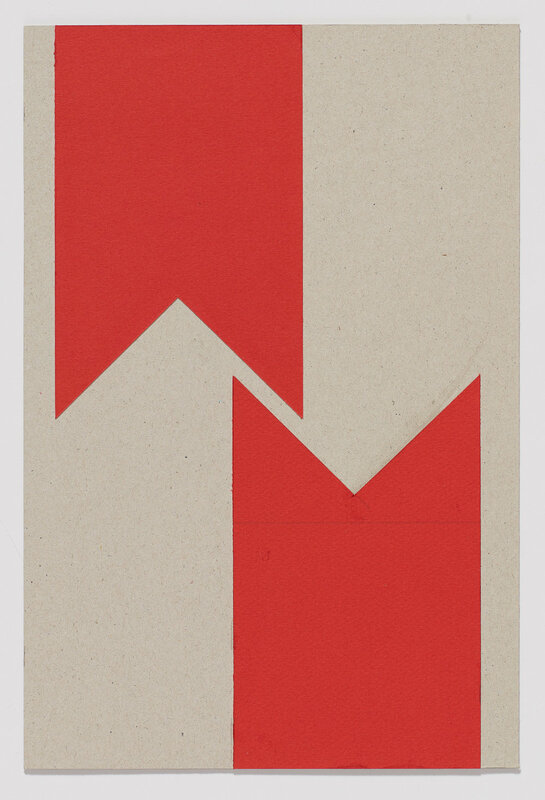 A pioneer of computer art, Hungarian artist Vera Molnar, born in Budapest in 1924 and a resident of Paris since 1947, has established a prominent position in the field of Constructivist-Concrete art but is virtually unknown in this country. 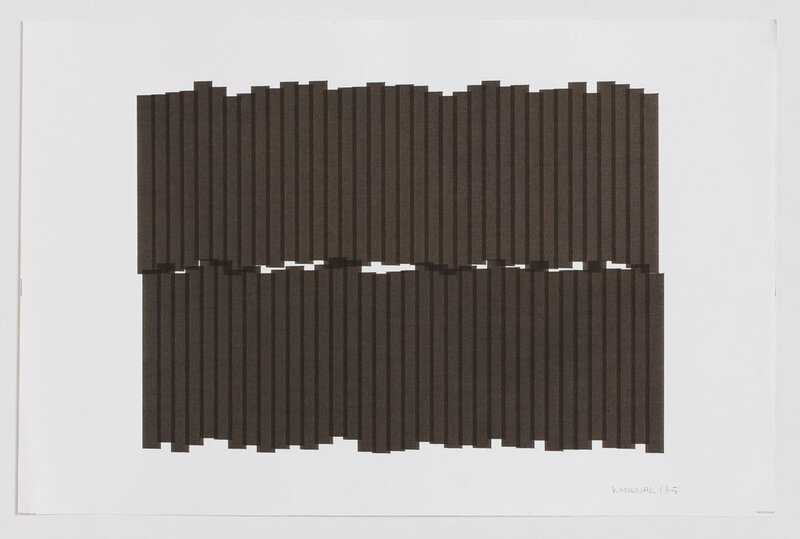 Working in Paris alongside artists such as François Morellet, Julio Le Parc, Jesus Rafael Soto, and Victor Vasarely, Molnar was a founding member in 1960 of the Research Group for Visual Art (“Groupe de Recherche d’Art Visuel,” or GRAV), which espoused minimal, non-objective image-making, and gave rise to the Op-Art and Kinetic Art movements of the following decade. 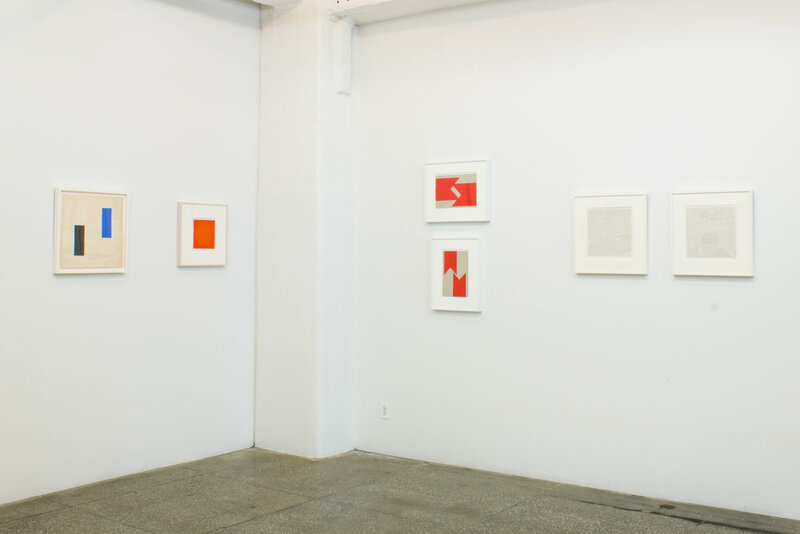 Still active today at 94, Molnar’s remarkable practice encompasses painting, drawing and collage, computer drawings, photography, and installation. 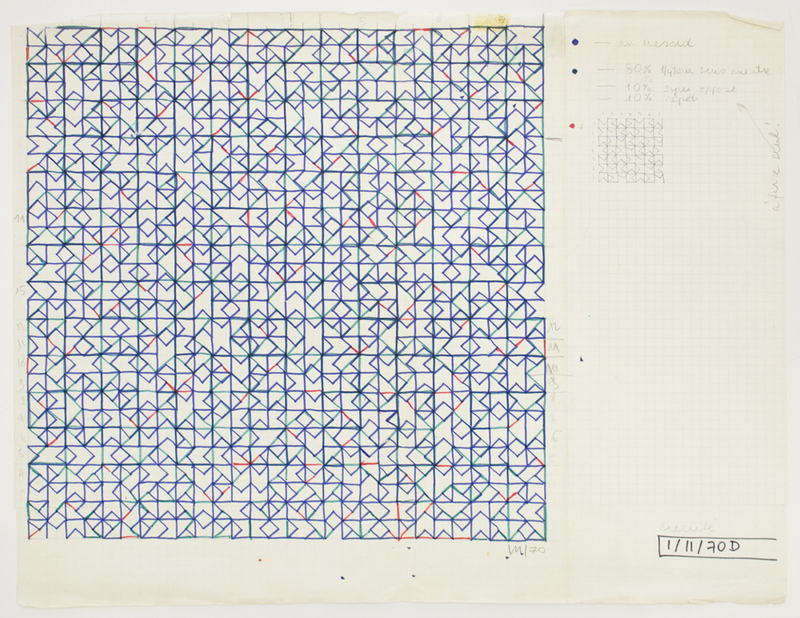 The artist’s second exhibition at Senior & Shopmaker Gallery will feature computer drawings made between 1968 and 1986, as well as a small selection of pre-computer works on paper made between 1949 and 1970. An e-catalogue will accompany the exhibition. 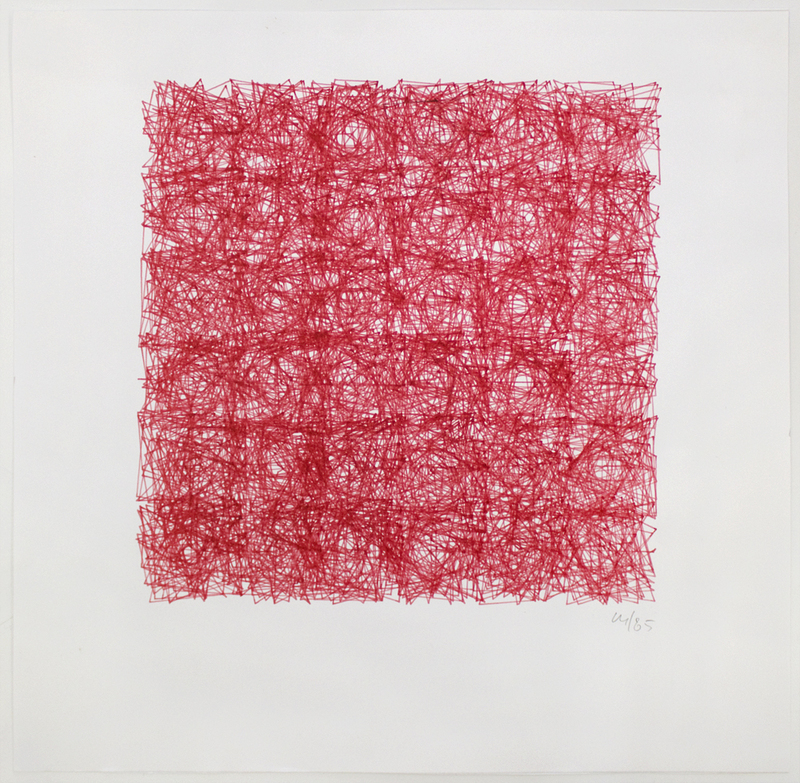 Beginning in 1968, the computer became a central device in the making of Molnar’s paintings and drawings, allowing her to more comprehensively investigate endless variations in geometric shape and line. 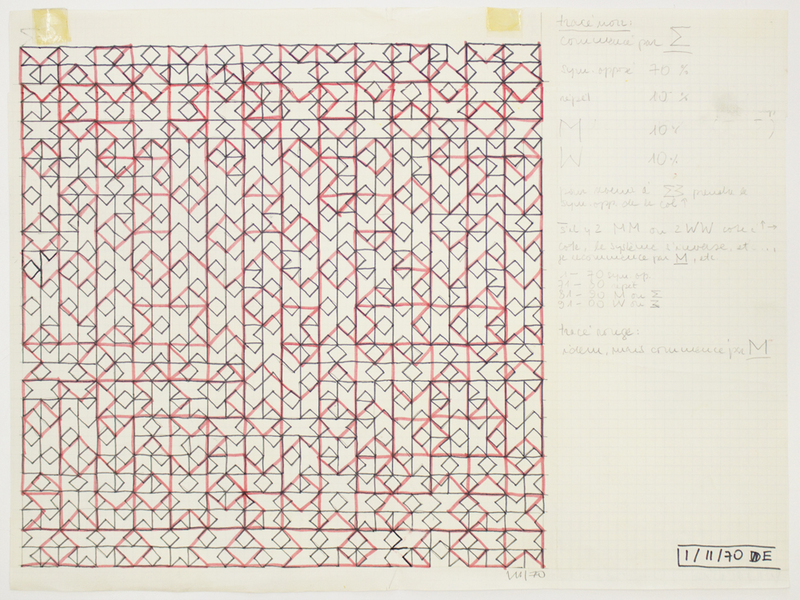 Molnar learned the early programming languages of Fortran and Basic, and gained access to a computer at a research lab in Paris where she began to make computer graphic drawings on a plotter, several of which are included in the exhibition. Using the computer’s high calculation speed and signal capacity to arrive at a large number of variables, Molnar nonetheless insists upon the importance of hazard and chance in the final outcome—by injecting small programming “interferences,” she offsets predictable outcomes. 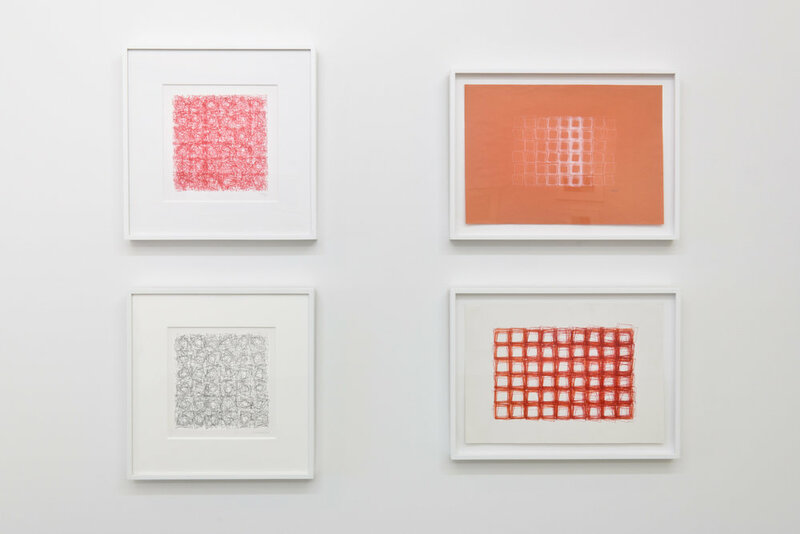 Molnar’s work has been the subject of retrospectives at the Kunsthalle Bremen, Germany, 2006; the Musée des Beaux Arts, Rouen, France, 2012; and the Haus Konstruktiv, Zurich, Switzerland, 2015, co-organized with the Museum fur Konkrete Kunst, Ingolstadt, Germany. 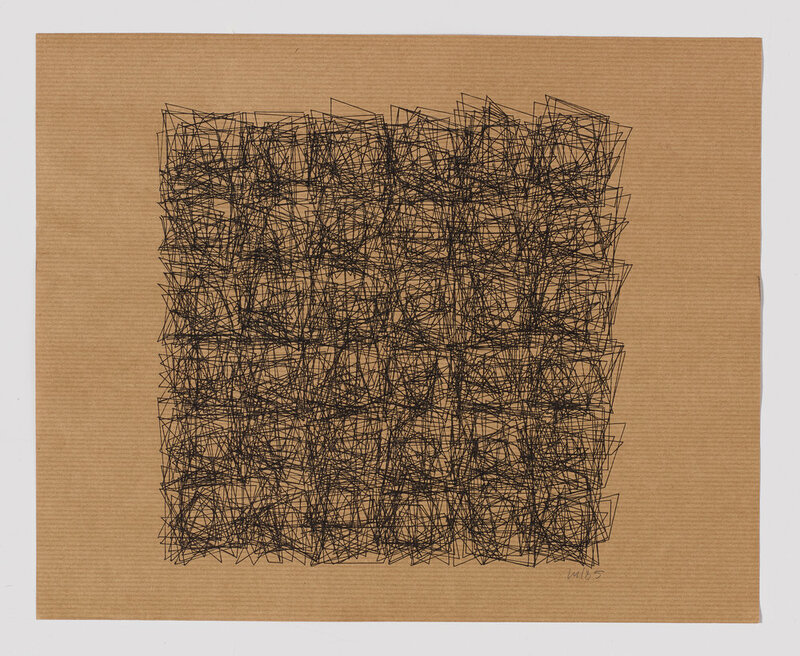 Group exhibitions include Dynamo, curated by Serge Lemoine and Matthieu Poirier, Grand Palais, Paris, France, 2013; Abstraction/Figuration, Musée des Beaux Arts, Rennes, France, 2014; From Minimalism Into Algorithm, The Kitchen, New York, 2016; and Sixfold Symmetry: Pattern in Art and Science, Frances Young Tang Teaching Museum of Art, Skidmore College, Saratoga Springs, New York, 2017. Currently Molnar’s drawings are included in Thinking Machines: Art and Design in the Computer Age, 1959-1989, The Museum of Modern Art, New York, and The Other Trans-Atlantic: Kinetic and Op Art in Eastern Europe and Latin America 1950s – 1970s, Museum of Modern Art, Warsaw, in collaboration with Garage Museum of Contemporary Art, Moscow, and SESC, Sao Paulo. Her work is included in such notable public collections as The Morgan Library and Museum, New York; Musée Nationale d’Art Moderne, Centre Pompidou, Paris; Bibliothèque Nationale, Paris; Kunsthalle Bremen, Bremen; National Gallery, Budapest; and the Victoria and Albert Museum, London.